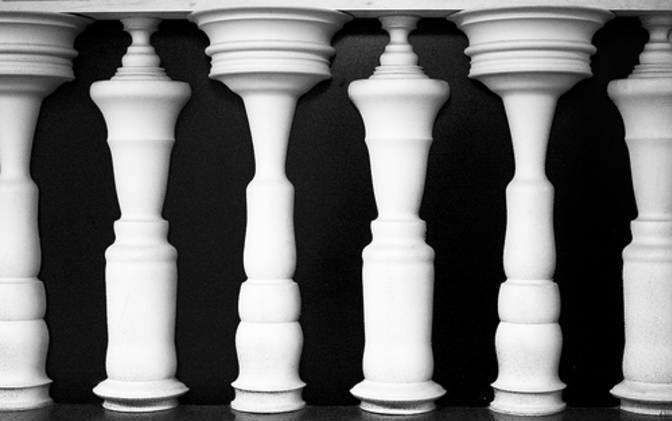 If you focus on the white shapes, you’ll see a series of columns, but take a moment to look at the black space and you’ll also see pairs of people in conversation. 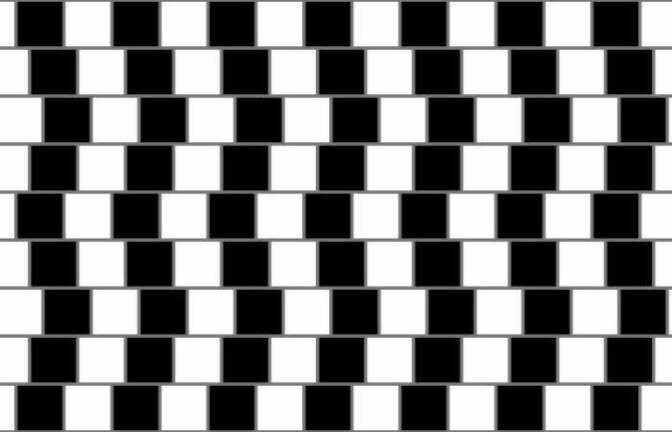 Relax your eyes and you’ll see the grey lines curve even though they’re completely straight. 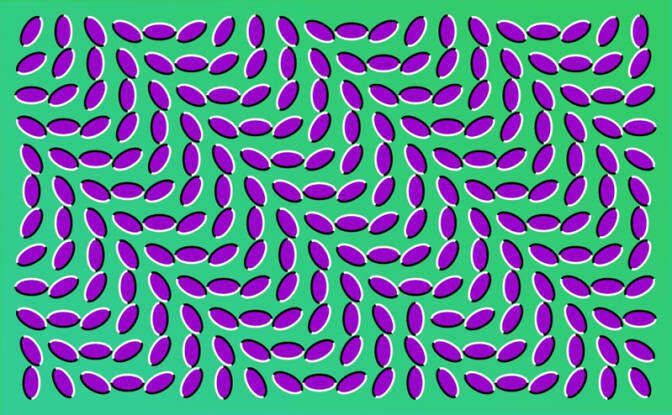 #3 Yes, it does look like this picture is moving, but if you focus intently on one spot, it’ll freeze for you. 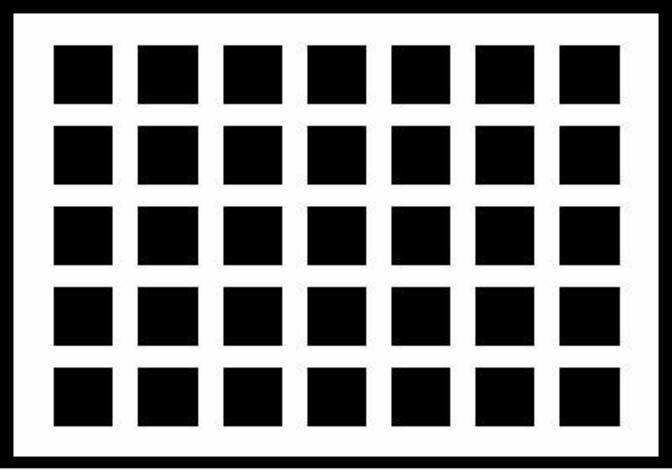 #4 Do you see white or black dots? 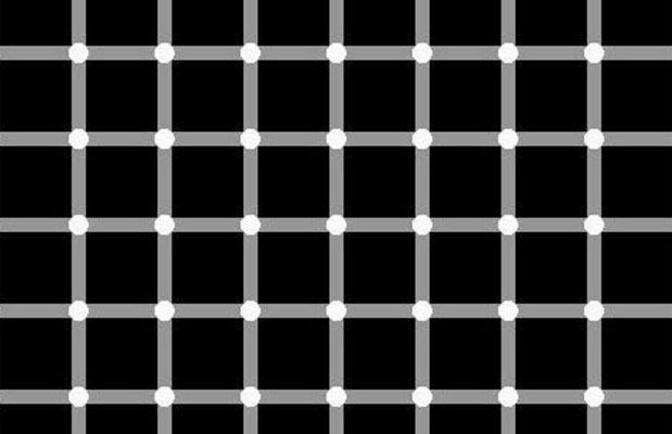 As you scan across the grid, they should change from white to black as they enter your peripheral vision. #5 These lines look like a crooked mess, but they’re all perfectly straight diagonal lines with distorting hashmarks. 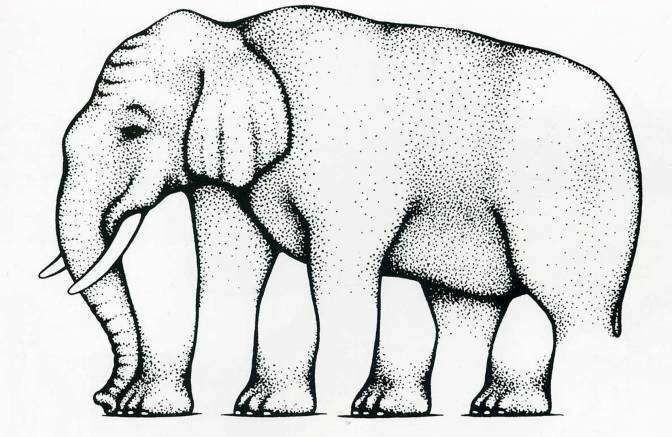 #6 How many legs does this elephant have? How about his feet? 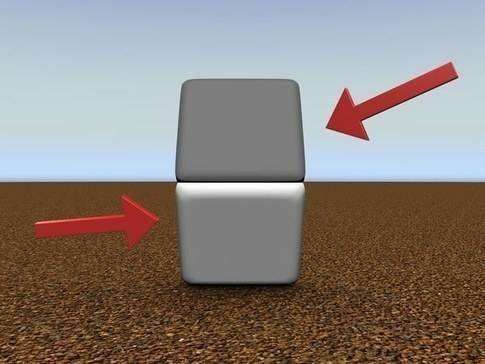 #7 The top and bottom square are actually the same color. 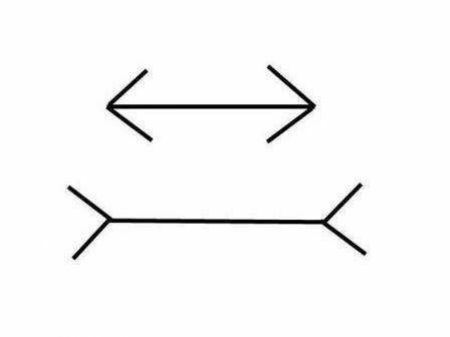 See the difference fade by placing your finger between the two at the arrows. #8 Which line is longer? 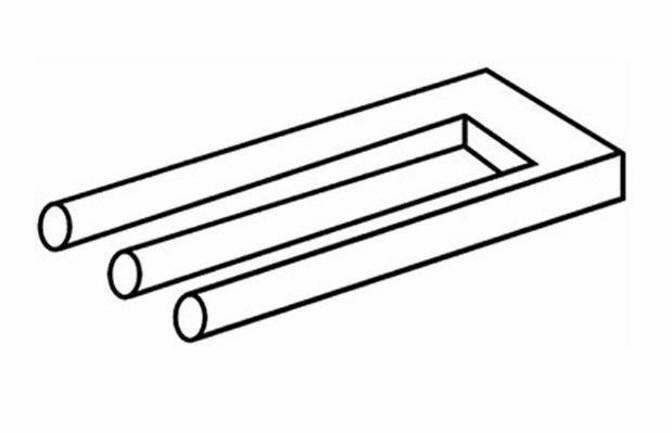 This simple illusion leads you to believe the bottom line is longer thanks to the positioning of the arrows inward or outward while they’re actually the same length. 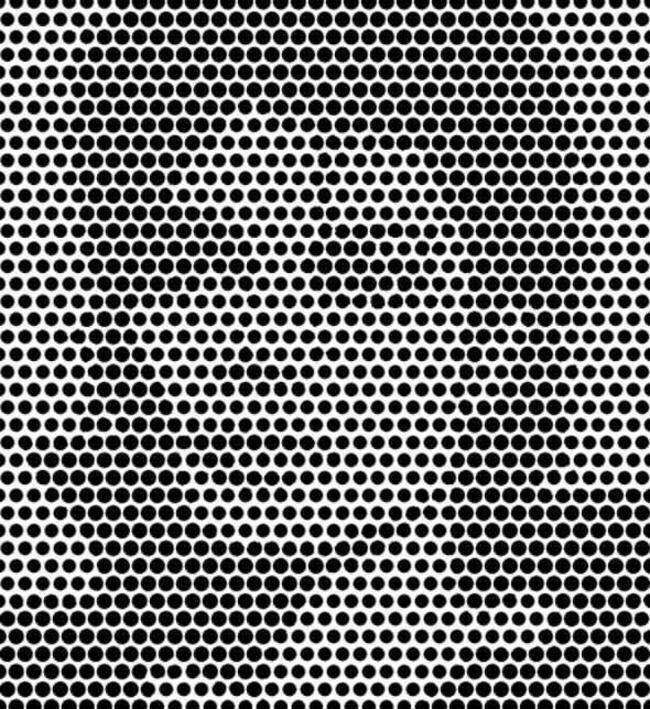 #9 Maybe you can make something out in these dots, but cross your eyes for a Thriller! 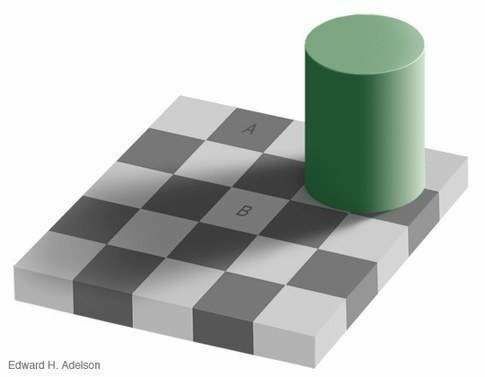 #10 Surprise, squares A and B are actually the same shade! 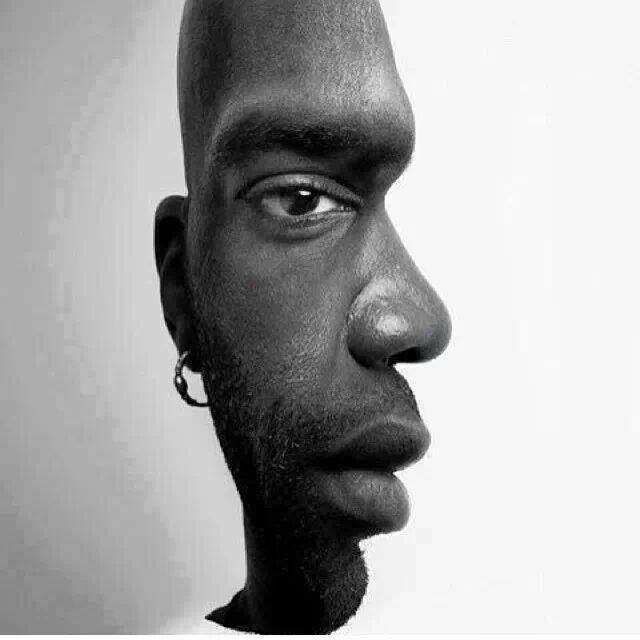 #11 Are you seeing the man’s profile or a straight-on shot? #12 0 Shades of Grey. 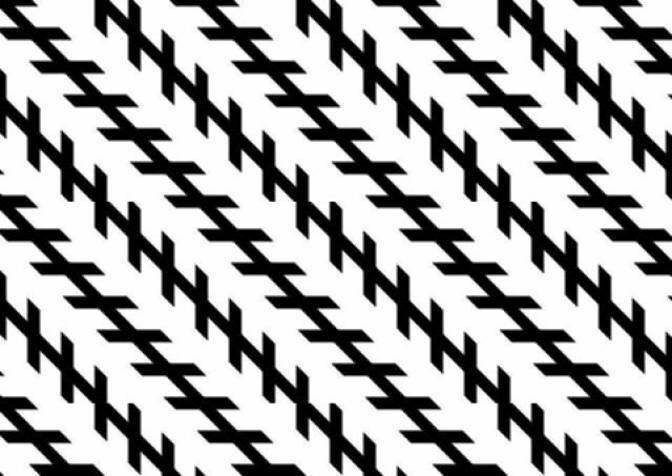 The intersect of black and white trick your eye into thinking there are grey dots where there aren’t. #13 Which middle circle is bigger? 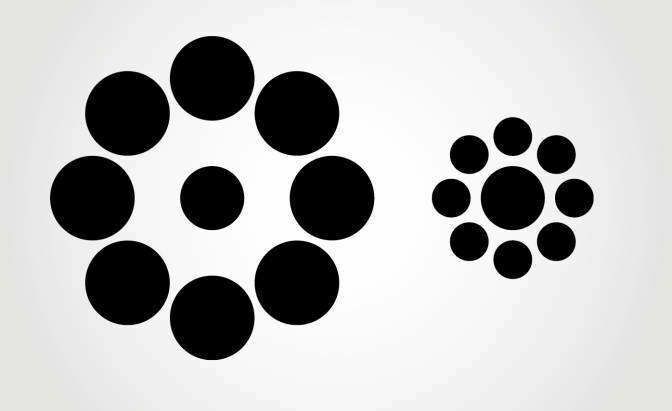 They’re actually the same size, though the surrounding circles lead you to believe that the right is larger. #14 How many prongs do you see? 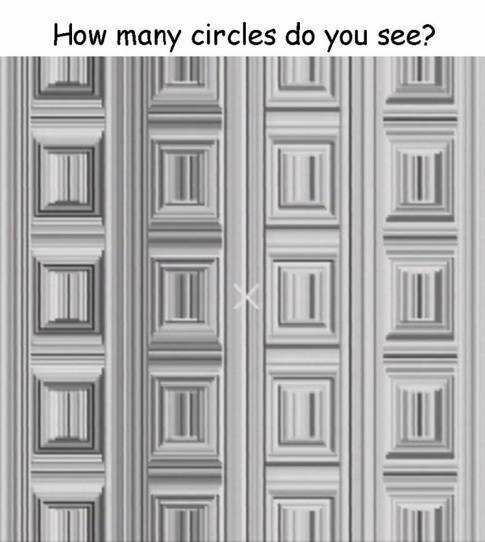 You may think we’re asking to count the wrong shape, but if you take a closer look, there are more circles than you may expect. #16 Believe it or not, the “blue” and “green” spirals are actually the same light teal color. 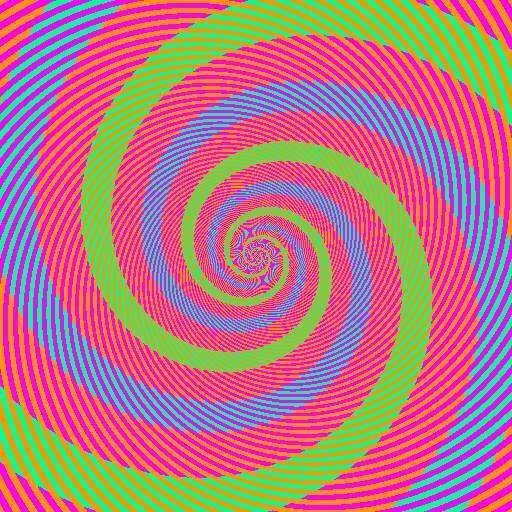 If you look closely, you’ll see that an orange strip passes through the “green” and pink spirals, and skips over the “blue” spiral seriously changing how we perceive the color relative to those near it.